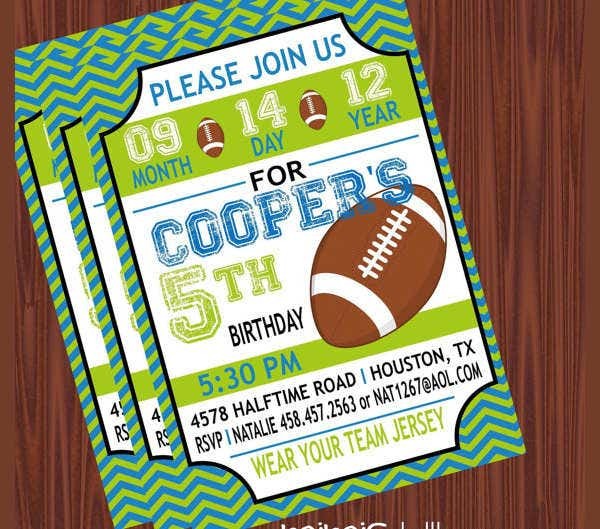 Are you into the National Football League? Have you ever heard of the names Jerry Rice and Joe Montana? How about Tim Tebow and Tom Brady? And did you tune in to the recent Super Bowl? If so, then you are definitely a football fan. 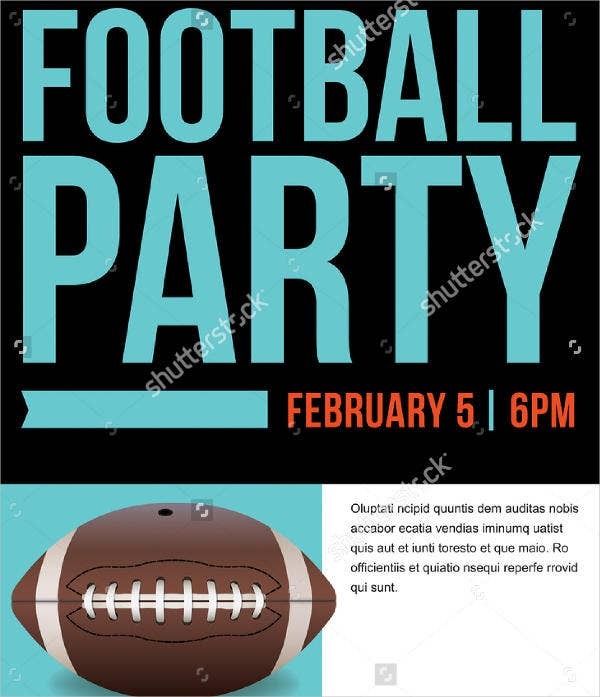 But to avoid confusing this kind of football to soccer, some people actually refer to this sport as American, Canadian, or Gridiron Football. 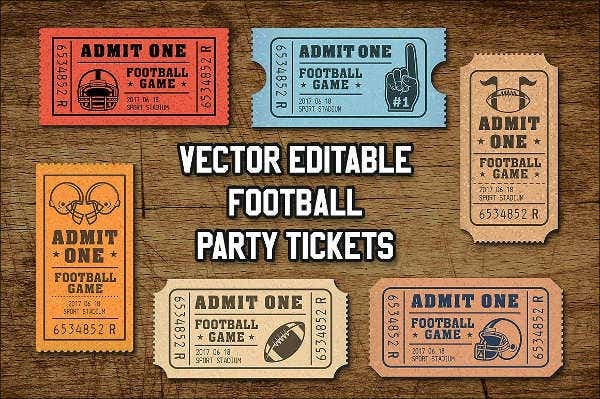 If you’re hosting a football event or party with your friends watching Monday Night Football, then you have found the right place. 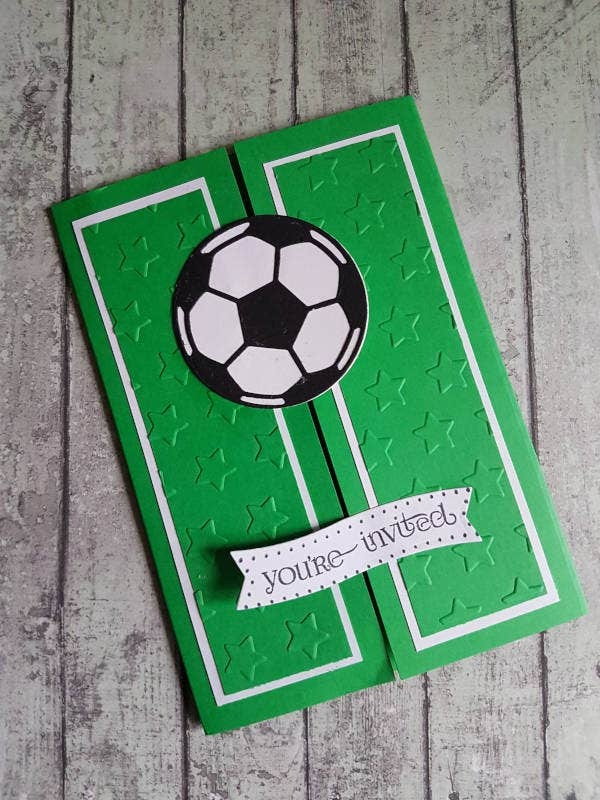 Our website contains a large collection of football-themed Invitation Templates that you can choose from. Check out what we have to offer, we guarantee that you’ll find more than what you’re actually looking for. Feel free to look around our website. 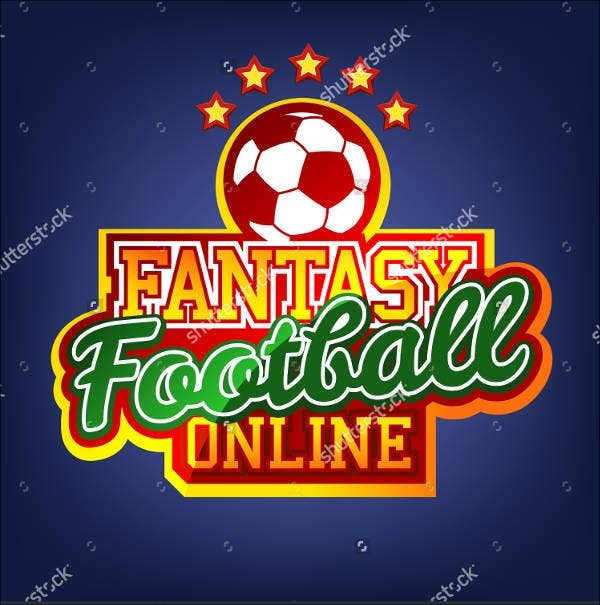 Football is an aggressive and physical game wherein the offensive team’s goal is to bring the ball to the end of the field or kick it in between goal posts. The defensive team, on the other hand, has to try and tackle the player handling the ball to keep them from crossing the touch down line. The sport was made popular by Yale University coach and player, Walter Camp, considered as the father of American football. It is a combination of soccer and rugby football. The first college football game was held in New Jersey on November 6, 1869. This game was played between Rutgers and Princeton. The National Football League (NFL) was established in 1920 but was established as the premier professional football league in 1922. The NFL’s annual championship game, the Super Bowl, was first played in 1967. The most recent Super Bowl took place on February 6, 2017. It was the NFL’s fifty-first Super Bowl to date. Football consists of eleven players per team, while rugby consists of fifteen players. Football is played in four fifteen-minute quarters, while rugby is played in two forty-minute halves. Football requires players to wear uniforms with shoulder and chest pads, helmets, and mouthpieces, while rugby only requires mouth guards for play. Football holds the NFL Playoffs as their major tournament, while rugby holds the Rugby World Cup. 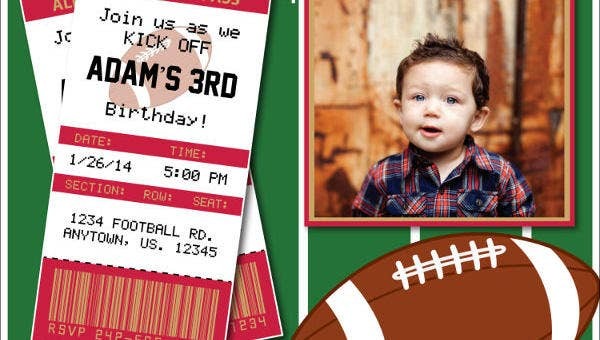 If you’re not too much of a fan of the National League, but more on the Major League, then check our collection of Baseball Birthday Invitations. 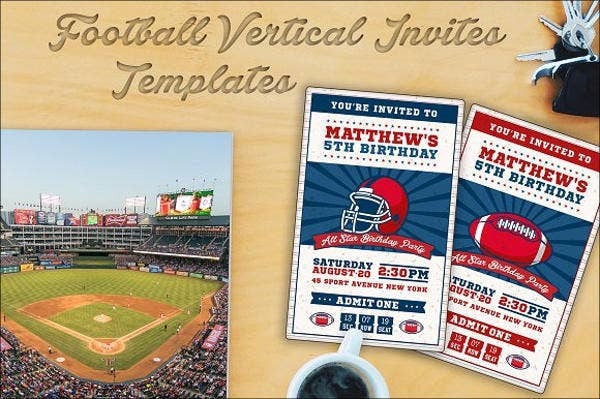 These templates have been carefully selected from among the best all around the Internet to provide you with the quality that you deserve. 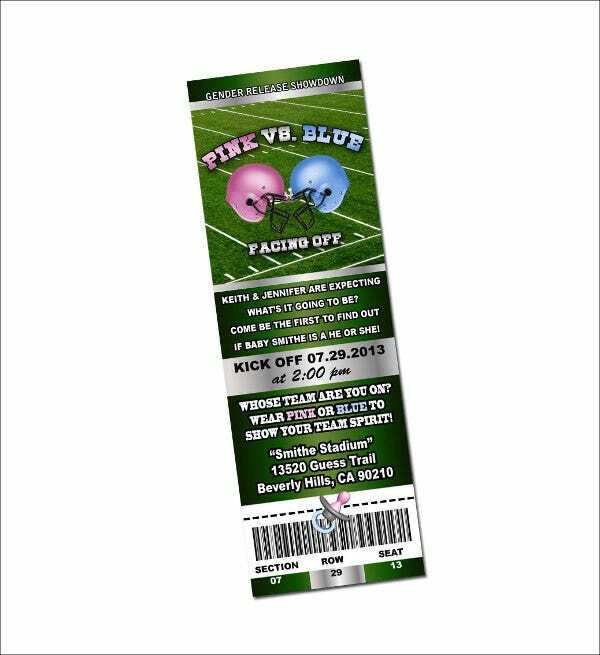 These have been designed by creative and experienced graphic artists. You may be able to access and download any of these templates for a fairly reasonable fee, and you may choose to save it in either JPG, vector AI, or EPS formats. 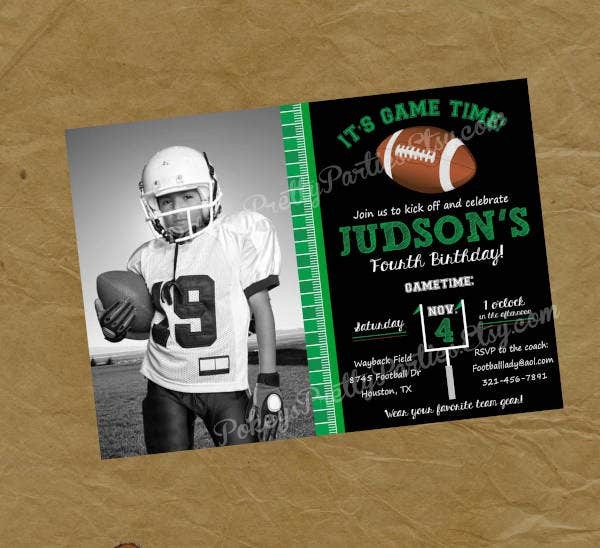 These templates are compatible with most image-editing software and are fully editable to provide you with the freedom to make the necessary changes depending on your preferences. 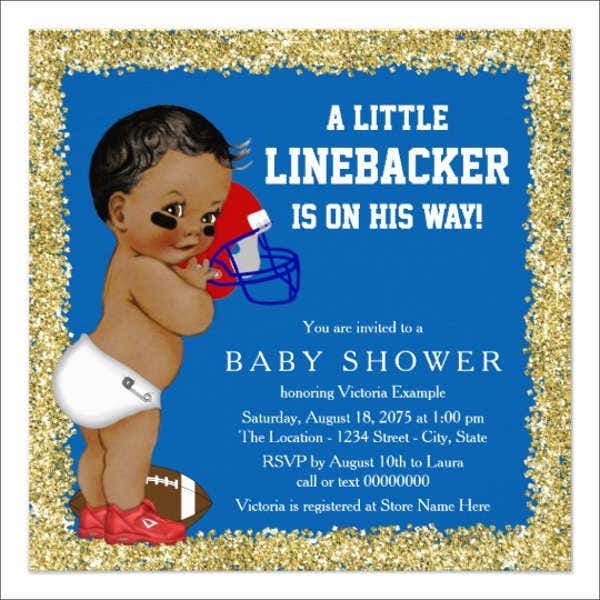 If you are looking for more templates, you may also want to check out our collection of Official Invitation Templates. But if you couldn’t find what you were looking for on this page, scroll down and feel free to check out the links to other related content found on our website.